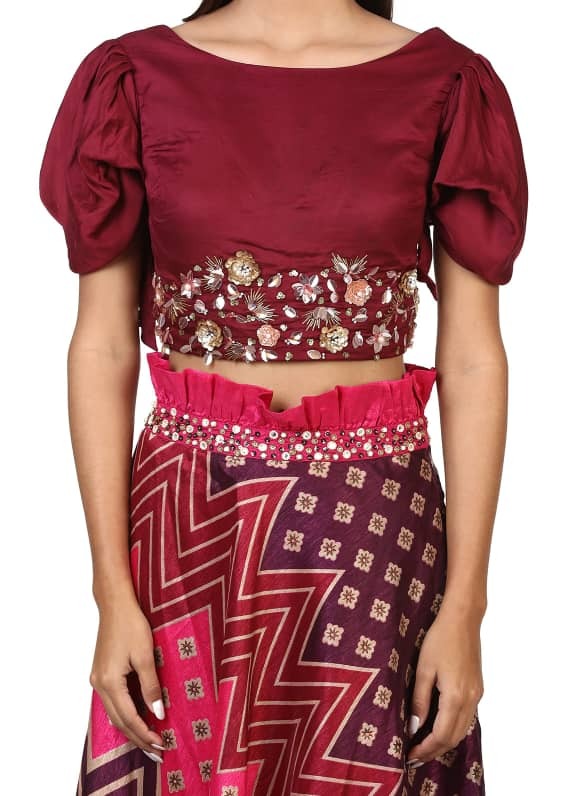 This set features a purple farmer sleeve blouse with bow detailing at the back and embroidery on the waistline. 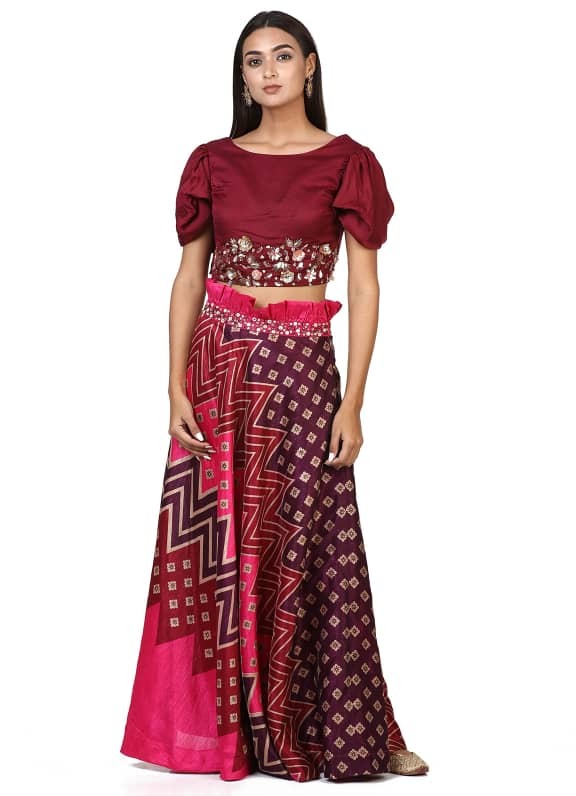 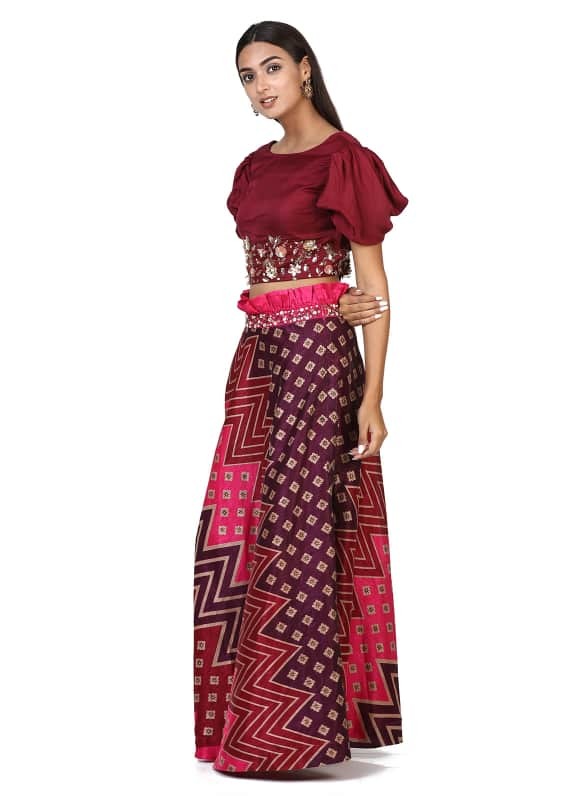 It is paired with a printed frill lehenga skirt. 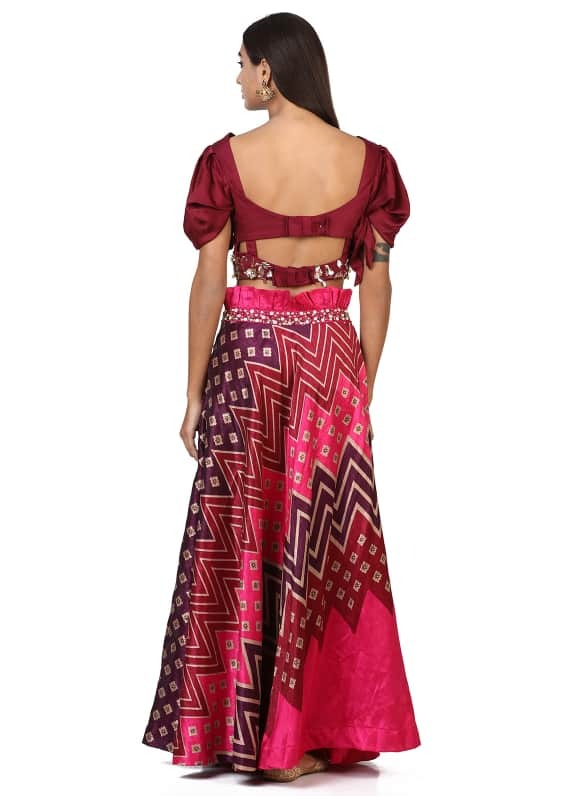 Perfect outfit for a festive evening, wear this stunning outfit with a pair of Amethyst earrings.